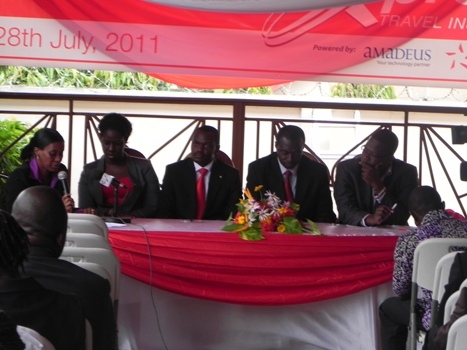 In the pictures below are Tina Osei, Nii Okai, Richard Adu Marfo, Yaw Adom Boateng, Panin Duffuor and Moses Atobrah. new Star Xpress Travel Insurance policy, which is the first of its kind in West Africa seeks to make it very convenient and accessible. A representative of GATTA, TINA Osei commended Star Assurance and Amadeus for their ingenuity and innovation that would surely impact positively on the industry. By this innovation, Star Assurance is the first insurance company in Ghana to entrust the sale of travel insurance policy to travel and tour operators.